them by the people, they turn to be animals chasing for power. Some rule according to their own will, making new rules and ignoring the rule of law. They created those rules just to satisfied their own person desires. They created fear, and confusion in their countries. They care less about those people, the citizens that put them in that position. They sizes peoples right of freedom, right of movement, right of speech izens for more than 24 hours without any reason. These leaders are more sweet able to be call dictators. Their government is defined as the form of government which the power is centralised. It either lies with single person or a small group of people. The general population has no saying in the functioning of the government. The people do not have any choice with regards to by who or how their country will be run. In a dictatorship form of government, the people are expected to do whatever is decided for them by their leaders. Some of the countries facing such horrible punishment are Ghana, Zambabwe, Egypt, Cuba, Gambia and so on. Charles Arthur Ghankay Taylor the 22nd president of Liberia, was a leader of a reble group known as the National Patriatic Front. He was a criminal who committed several atrocities and crime against humanity. He conscripted or enlisted children under the age of 15 into arm force terro or group, using them to participate actively in hostitities, violence to life, health and physical or mental well being of persons. In particular crul treatment and in many of that years. General Sow Abacha formar president of Nigeria was the most butal dictator of the west Africa power house. He ruled his nation with impunity, through such, an unconfirmed rumours emanted that he died in sexual bouts with indian prostitute's. He was also responsible for selling five billion dollers in fund. From where i come, my country The Gambia, we have a dictator leading the people. I will call him the best example of authoritorianise "TYRANT". He is the typical example of a dictator. There is no freedom, no security, he sizes the right of citizens, citizens no longer have the right in their own country, the government has absolutely control of everything. He is more interested in building large lavish palaces, removing opposite or people who fight who human right. The worst he can do is to arrest you and your family will never have the chance to see you again. Such leaders are meant to be behind bars, they should be punish and put to law. The law enforcement for human rights and so on are supposed to stand for such discrimination, wickedness and violation of human right for the people living in poor west African countries because according to the rule of law, these individuals deserves to enjoy their fundamental rights, order and security, civil justice, and absence of corruption. According to rule of law, everyone id equal and no one is above the law. WHAT IS THE FBI ? An FBI agent is an important job in law enforcement in the United States. Made famous in countless television shows and movies, FBI agents are responsible for upholding the law on a federal level. The job entails a great deal of complex work in the field and in the office. There are a variety of cases that an agent can investigate, ranging from murder to tax fraud, cybercrime and much more. The key responsibility for an FBI agent is to investigate crimes. The Federal Bureau of Investigations handles only federal offenses, because anything at a lower level is left up to local authorities. Terrorist threats, bribery and organized crime are some of the bigger situations than an agent deals with. Every agent must be an expert in United States law, law enforcement procedures and criminal investigating. Before becoming an agent, candidates must pass rigorous physical and mental tests to prove that they have what it takes to handle the strain and challenge of this position. FBI Special Agents are responsible for conducting sensitive national security investigations and for enforcing over 300 federal statutes. As an FBI Special Agent you may work on matters including terrorism, foreign counterintelligence, cybercrime, organized crime, white-collar crime, public corruption, civil rights violations, financial crime, bribery, bank robbery, extortion, kidnapping, air piracy, interstate criminal activity, fugitive and drug-trafficking matters, and other violations of federal statutes. Half of the work of an FBI agent involves investigations in the field. This refers to crime scenes and dealing with suspects and witnesses outside of the office, all of which can be anywhere in the country, depending on the case. FBI investigations revolve around looking at the crime scene and collecting evidence. A special agent also could be asked to track suspects for long periods of time, work undercover with little sleep or food and put himself in danger by apprehending criminals. Teamwork is an important part of what he does, because an entire team of agents could be working a case, so taking and giving orders is essential to a case's success. The second half of responsibility for an FBI agent is all of the work he does away from the field. This primarily concerns work within the office, which includes researching each case to solve the puzzle. Reviewing evidence, interviewing suspects and witnesses and researching similar cases are all important parts of this job. One overlooked part of office work is writing reports for the FBI, because this job requires completing an enormous amount of paperwork. An FBI agent often has a specialty that helps the bureau focus on certain aspects of a case. Agents with computer backgrounds can focus on cybercrimes, agents with a financial background often work closely with accounting fraud cases, and agents with traditional law enforcement backgrounds handle more physical crimes. No matter what an agent's specialty, there is a need for his services in the FBI. But for the most part an FBI special agent conducts federal investigations. Most of the time the FBI will call in local police to make the actual arrest for them, but they do arrest suspects also. There is A LOT of paperwork involved in any job which involves investigation and arrest especially in federal crimes because they are usually high stake cases. I am not saying that paperwork is all that you will be doing, but, one should be prepared to do their fair share. I do not think that any law enforcement job can be classified as boring because every day is going to be something. I think the FBI help us out a lot because they investigate and find stuff out. I have always been really interested in becoming a Federal Air Marshal (FAM). Besides the fact that I would lead an exciting life protecting people from harm as they travel, I would be able to travel the world myself. Even though it requires a lot to become, it doesn’t pay that well, and it is a very dangerous job, I have no doubt that I would love my job. Becoming a Federal Air Marshal is very competitive. General requirements to be a FAM include being a U.S. citizen, being under the age of 37, and being physically well. If these requirements are fulfilled, having an advanced degree may set someone apart from many other qualified prospects. A person must have at least a bachelor’s degree in college as well as one year’s worth of experience in either criminal investigation or aviation security. If in fact a person does land a Federal Air Marshal position, he or she must attend a two-seven week training either at the Federal Law Enforcement Center training cite in New Mexico or the Federal Air Marshal Service training in New Jersey. After these are completed a person may attain a job as an Air Marshal. 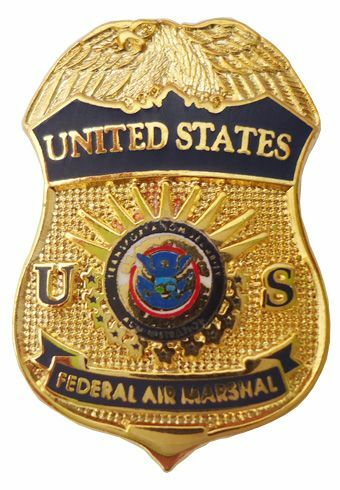 The average annual pay for a Federal Air Marshal is around $57,000. However, the salary varies greatly and depends on specialization within the field. The pay isn’t that great, but the benefits make up for it. Benefits include Pay for Performance Compensation System, Thrift Savings Plan, 50 days leave (10 of them paid holidays), health benefits, retirement, life insurance, and family medical leave plan. The movie Non-Stop, featuring Liam Neeson, illustrates the danger of being a Federal Air Marshal. Even though the situation may have been dramatized for entertainment purposes, the danger of it is not. September 11, 2001 reminds us all that there are dangerous people in our world who want to hurt us. Keeping our flights safe can save more than just passenger’s lives, it can save thousands. I have always been interested in the Drug Enforcement Administration. The Drug Enforcement Administration started on July 1, 1973 under that U.S Department of Justice. According to http://www.dea.gov/about/history.shtml, The Drug Enforcement Administration was created by President Richard Nixon, it had 1,470 Special Agents and a budget of less than $75 million. Today, the DEA has nearly 5,000 Special Agents and a budget of $2.02 billion. With their diverse backgrounds, DEA Special Agents are the most highly regarded federal drug law enforcement agents in the world. The professional respect accorded DEA Special Agents is a direct result of the experience, commitment, and training associated with this career. Applicants must be at least 21 years of age and no more than 36 years of age at the time of appointment. Competitive candidates for these coveted positions have a bachelor’s or master’s degree with a GPA of 2.95 or higher. The hiring process is multi-step and all candidates must complete each phase successfully to remain in the most competitive group and receive a final offer of employment. Applicants must pass a medical examination which includes a test for drug presence. A Physical Task test determines if you can withstand the physical rigors of training. If you fail the PT test you will have a second opportunity to pass it within 30 days. Basic training is about a 16 week program with emphasis on leadership, ethics, and human relations. On Average on the first day of training there are around 40-50 agent trainees. Within the 16 week course they have to know basics of reporting writing, law, automated info systems, and drug recognition are provided in the academic instruction. The 40-50 agents have to complete a 84-hour physical fitness and defensive tactics which prepares new agents for compliant and non-compliant arrest scenarios. The students have 122 hours of firearms training and ranging from basic marksmanship to tactical shooting and deadly force decision training. Through all the training of a DEA special agent, they have to use judgment in the use of deadly force. As the training progresses, students must apply the classroom knowledge to a series of increasingly demanding practical exercises to test leadership, decisiveness, and knowledge. Salary includes federal Law Enforcement Officer base pay at the GS-7 or GS-9 level plus a locality payment which is based on duty station assigned. After graduation from the DEA Training Academy, 25% Availability Pay is added to the base and locality pay. Starting salaries range from $49,746 for a GS-7 to $55,483 for a GS-9. DEA Special Agents can progress to the level of GS-13 after four years and earn about $92,500 or more per year. Special Agents are subject to transfer throughout their career so mobility is a condition of employment, but also an opportunity for those who enjoy exploring new areas of the country. You will receive your final duty station assignment between the 8th and 12th week of training. In addition to relocation, as a DEA Special Agent you may be required to travel frequently with little advance notice. Ongoing individual training will allow you to focus and progress in areas where your individual talents, skills, and interests can best be utilized. Coroners are called when a death is involved in a crime. 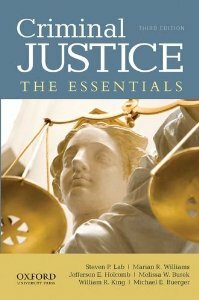 They are very important in the process of solving a case. They can give tons of insight on how the victim was killed, where the victim was killed, when the victim was killed and even some can help find clues on to who the victim’s killer was. A coroner is held under strict regulations and may only investigate deaths that occur within his or her jurisdiction. They can perform autopsies, pathological and toxicology reports and may also work with outside laboratories. They must have detailed knowledge of human anatomy, injuries, illnesses and many causes of death. The coroner arrives at a crime scene and observes anything and everything. From the position of the body to the details of any wounds or signs on the body. Some coroners conduct interviews at death scenes to help determine the circumstances surrounding the death. He will help identify the victim. Dental charts are sometimes the only method of identifying the deceased, so coroners need to make dental comparisons. He determines time of death and will give an initial cause of death. Causes of death would include natural, accidental or criminal causes. They decide if an injury is the result of a fall, abuse, automobile accident or assault. They will find all medical records and maintain them for the victim. They also need an understanding of normal human behavior and disorders that could affect the deceased's actions. They will transport the body to their lab and do further tests on it including an autopsy and will do tests on any substance found on the body or in the body. They will report their findings to the lead investigator or other investigators. Coroners must also know the laws relating to public health, so they can properly report contagious diseases. The coroner is responsible for signing the death certificate and may also in some cases be responsible for burial instructions and even the handling of the remains. The coroner is responsible for locating and informing the next of kin and must provide details of the investigation to relatives of the deceased. They have to inventory and make available any personal effects of the deceased to the next of kin. Coroners may also be called upon to act as expert witnesses in criminal trials. Autopsies can take anywhere from two to four hours as a coroner must be patient and thorough. They must refrain from making any final decisions until all the final tests are done which potentially could take up to six weeks. When someone goes to prison, you usually just think about how you won’t get to see them again for a long time, or how miserable it will be for them. What people don’t think about is how much technology is used in a prison to keep the workers, and other prisoners safe. When dealing with some of the most dangerous people in the world, it is always a good thing to be a couple steps ahead of them and technology gives the Warden and the workers just that. 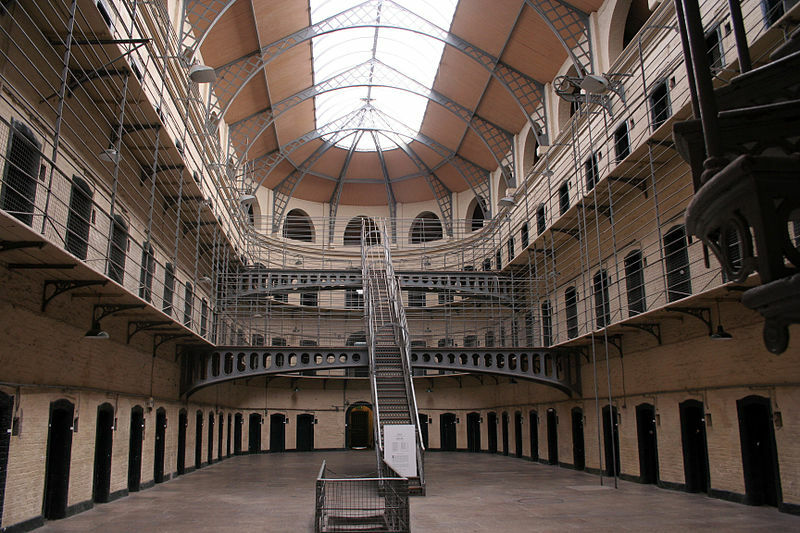 Technology in prisons has changed drastically over the years, even within the last 20. They know have tracking devices on a lot of the inmates to know when they get out and where they would be headed. Also they have recently created a weapon detector called the WANDD, that determines whether or not an inmate has something underneath their clothes that could possibly harm them. The Weapons and Non-Permitted Devices Detector, or WANDD, is a handheld system similar to handheld metal detectors. The WANDD scans fully clothed people for contraband hidden under their clothing. Although designed specifically to spot nonmetallic contraband, it detects metal as well. Unlike millimeter wave systems that use radio energy, the WANDD uses sound waves to detect objects. The WANDD includes an ultrasonic wave transmitter and an acoustic receiver. The device listens to the sound waves that bounce back to it, detecting hidden objects under clothing. Another way that technology is used to help keep the prisons safe and running well is by the tracking devices on the inmates that tell if they are doing anything suspicious. Corrections officials are beginning to test new technologies that might help meet other challenges as well. One potentially promising approach involves radio frequency identification technology, which uses small transponders called tags to track movements. RFID tags can be attached to or incorporated into a variety of objects, such as wristbands. Each tag has an integrated circuit and a tiny antenna to handle radio signals and can be used with a network of sensors called RFID readers, to track movements. For example, a few correctional institutions have used the systems to provide information on prisoners' movements and to alert staff if there is an unusual concentration of people in a certain area. Movement information can be stored in computers and could prove useful in investigations to determine who was present in a certain part of a building at a particular time. More ways inmates can be tracked is by their fingerprints, and Iris. They can tell where someone is at just by their fingerprints which is crazy to think about. The hard part about this is that their are around 2.3 million inmates across the country and the cost to do this to every single one of them gets very expensive and would probably make taxes go up then people wouldn't be happy about that. For over a century, states have believed that the juvenile justice system was a vehicle to protect the public by providing a system that responds to children who are maturing into adulthood. States recognize that children who commit crimes are different from adults: as a class, they are less blameworthy, and they have a greater capacity for change. To respond to these differences, states have established a separate court system for juveniles, and they have created a separate, youth-based service delivery system that is different than that provided to adults. Today’s juvenile justice system still maintains rehabilitation as its primary goal and distinguishes itself from the criminal justice system in important ways. With a few exceptions, in most states delinquency is defined as the commission of a criminal act by a child who was under the age of 18 at the time; most states also allow youth to remain under the supervision of the juvenile court until age 21. In lieu of prison, juvenile court judges draw from a range of legal options to meet both the safety needs of the public and the treatment needs of the youth. Unlike adult criminal proceedings, juvenile court hearings are often closed to members of the public and records are often confidential, protecting children from carrying the burdens of their delinquent activity into adulthood. (However, despite what many people believe, juvenile records in most jurisdictions are not automatically sealed or expunged.) Educational and therapeutic programming may be provided in the child’s community or the child may be placed out of the home in a residential program. 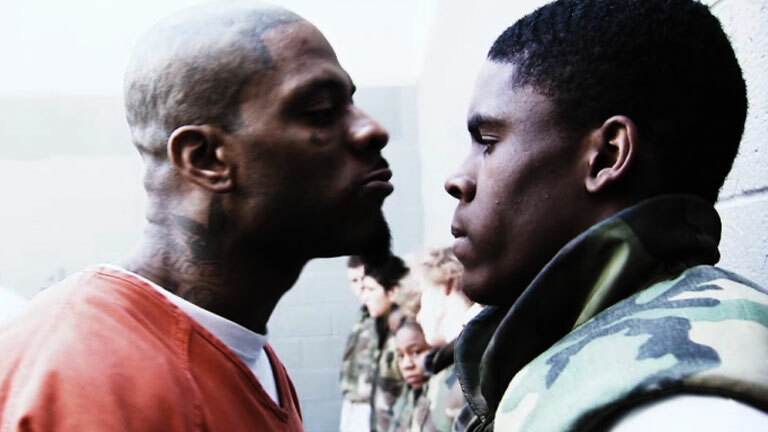 “Beyond Scared Straight” is a program that has also become a successful tv show. This program is for juvenile rehabilitation. It is a voluntary program in which a parent of a juvenile that has criminal history can visit a prison. In these prisons, inmates who are involved try multiple methods to get through to the kids that they could end up like them. They try and scare them by giving them a taste of everyday prison life. They tell them that they want to be alone with them and have their way with them in some cases. In others, they tell them that they would beat them to death if they were ever together in prison. The inmates try and reason with the juveniles by telling them what they would experience every day and convince them that they are at serious risk of being thrown in prison already. For those that aren’t scared by the obvious everyday threats that they would receive in their life behind bars, there are inmates that will reason with the juveniles emotionally. They will get in their head about all the things on the outside of prison that they miss or will never experience again in their lifetime. There are always one or two kids that are not able to be reasoned with but the majority of them are scared enough that they make the effort to quit their criminal habits. The show also checks up with each juvenile from six months to a year down the road after the prison visit. They succeed with a few juveniles but most end up continuing their criminal behavior.